Tutors - our biggest assets! We love to help our students! 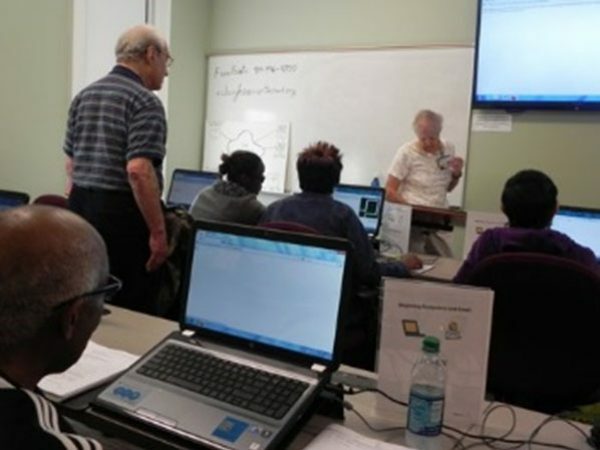 Raleigh SeniorTechEd is an all volunteer organization dedicated to providing adults with education and access to computer technology, including tablets and smartphones, at locations in Raleigh and Knightdale. 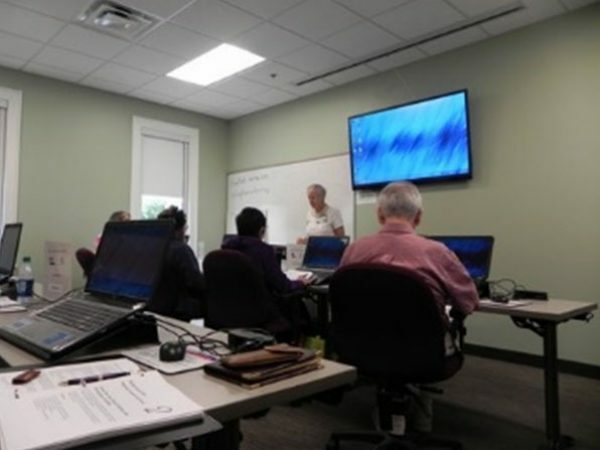 Our courses are designed for individual attention via hands-on experience with the objective of building confidence for new users and enhancing the skills of more experienced users. 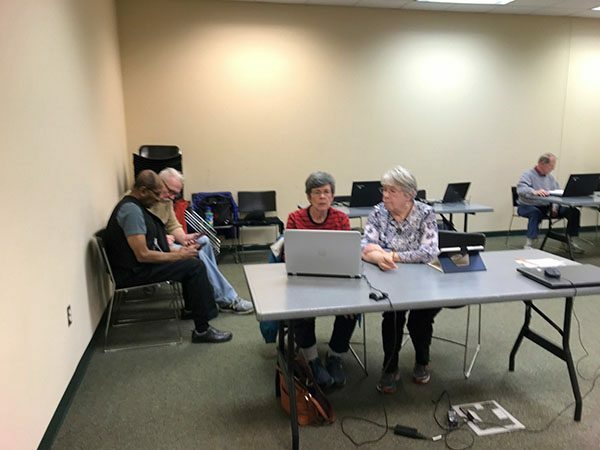 Our program is attuned to the specific needs of adults, to enable them to enjoy and use the latest technologies on their laptops, tablets and smartphones. 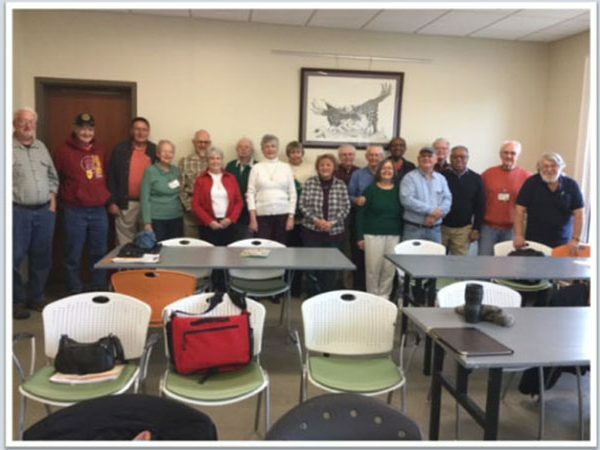 We offer small group classes on a variety of subjects, ranging from the very basics to more advanced topics. We will teach you to use your devices for games, email, music, research, to look up medical information, to check the credentials for your doctor or hospital, etc. 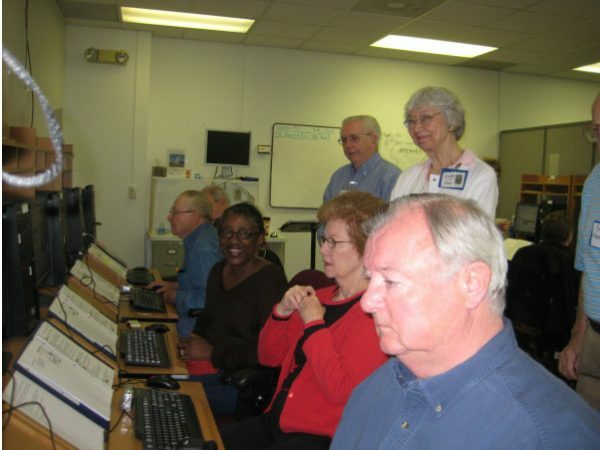 Each class has a maximum capacity of only 8 people, so everyone benefits from personal attention and instruction. Manuals and/or handouts are provided and note-taking is highly encouraged. 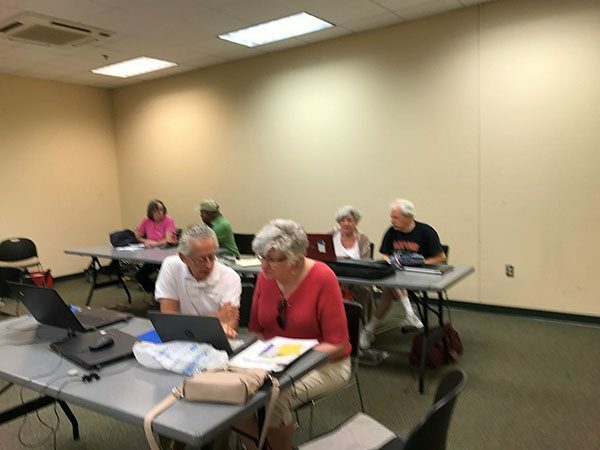 A $5 Open Workshop to help solve your technology problem, answer questions, or for practice of class exercises is available from 1:30 to 3:30 pm on the 1st and 3rd Monday afternoons at our Knightdale location and on the 2nd and 4th Monday afternoons at St. James United Methodist Church. Open Help Workshops will be scheduled for our newest location , the A. E. Finley YMCA, on the 1st Friday from 10am to Noon. 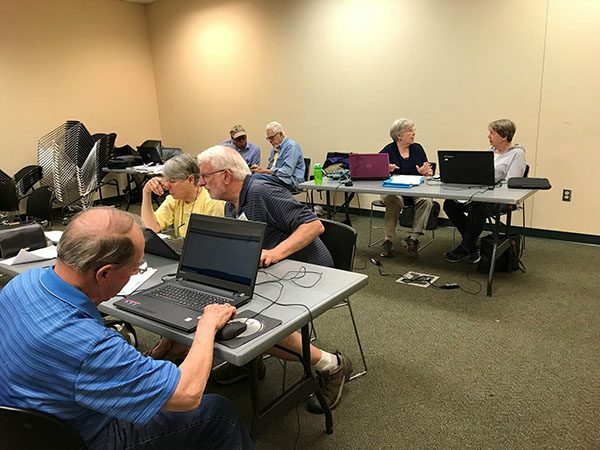 Raleigh SeniorTechEd provides volunteer opportunities within the organization, where volunteers enjoy peer-to-peer fellowship and interaction as they help others learn new technologies. 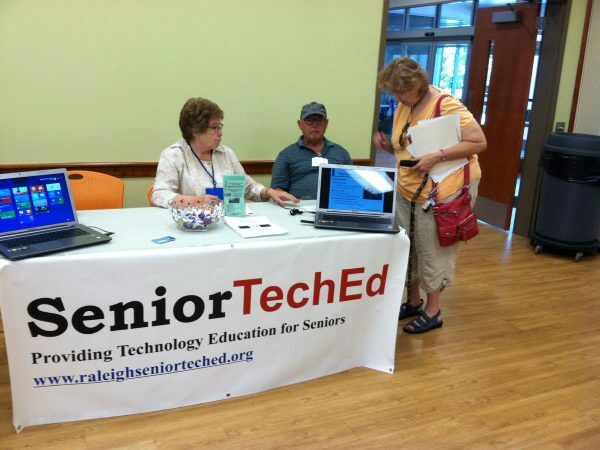 Raleigh SeniorTechEd is a 501(c)3 organization. Donations are tax-deductible. 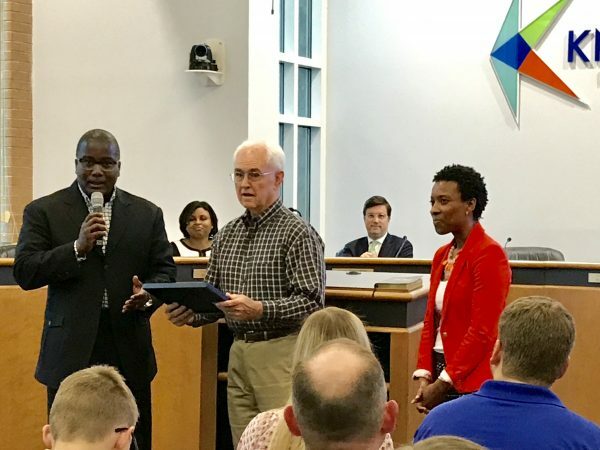 We welcome all students or volunteers and do not discriminate on the basis of race, color, religion, gender expression, national or ethnic origin in any of our activities. Please download our 2019 Spring Schedule or use the web fill in version of our 2019 Registration form. 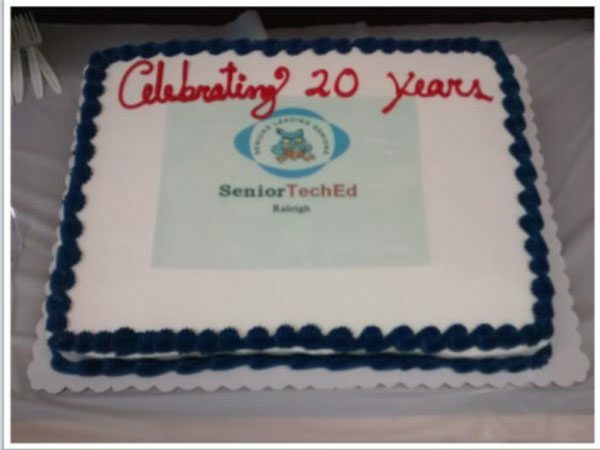 SeniorTechEd makes the News! See us on a segment of ABC11 TV noon news. 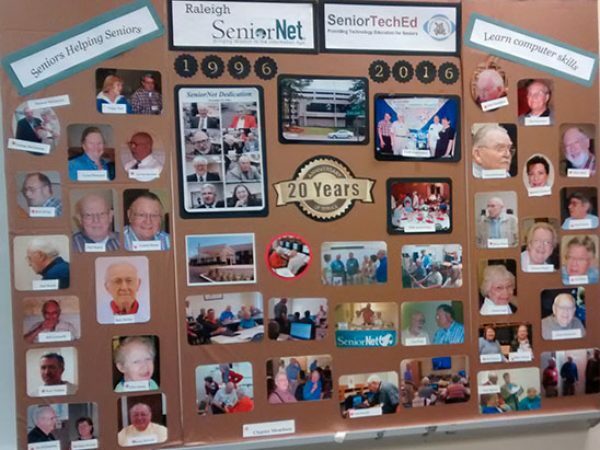 Or look at WRAL’s story on how SeniorTechEd is helping to bridge the technology barrier between generations. Our Spring semester will begin soon with some new courses and the good old stand-by classes on various technological topics. Please check our schedule of upcoming classes for more information on class offerings. 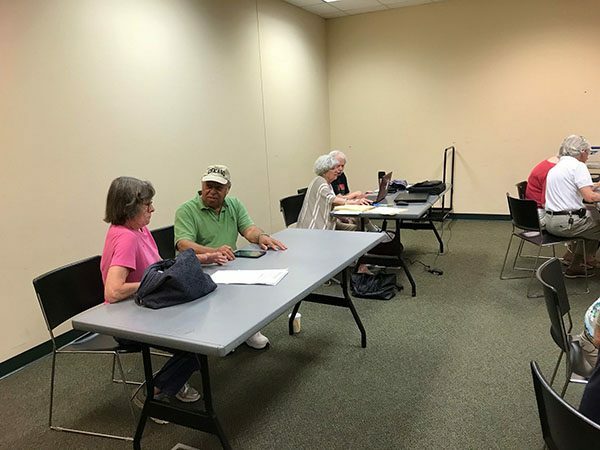 Join in some fun computer training or come out and join us as a volunteer! Our Spring Semester class schedule is now available! Sign up soon! Course descriptions are available for current and future classes. 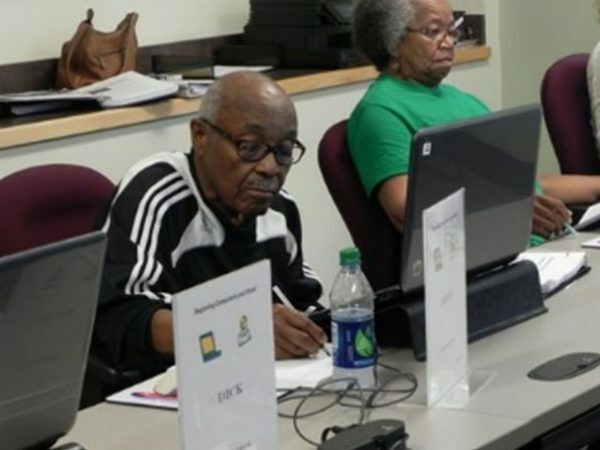 Have fun while helping others learn today’s technology. Join us and be part of our team!